This is the seventh year for our e4e Blog Tour! For 2016’s tour, I’m having a Kindle Fire giveaway. You could win one of four Fire tablets. See giveaway information at the end of this post. Bloggers, if you’re on Cru staff, contact Sus at her Cru address or at e4e at cru.org with your submission. I post in the order I receive submissions, so the earlier you enter, the more exposure for your blog. Most submissions should be entered in April to make it on the tour. Subscribe for an email alert to the “different stops” on the tour. I add a new post about four times per week, starting today. If you subscribe, you’ll receive a weekend email about the new posts added to the tour during the previous week. Click here and subscribe in the email alerts section for the “Current blog tour”. The default on this form will also subscribe you to a weekly email of eQuipping for eMinistry posts, so look over the different options to determine which email subscriptions and alerts fit your interests. This tour is over; however, I’ll be doing another annual tour at Christmas and a year from now. If you’re on Cru staff and want me to know about your blog, contact Sus Schmitt at Cru. Hooray! I’ve given away four Fire tablets: two for Cru bloggers as well as two for Cru readers. I’ll announce the winners later this month. Please share these posts with your friends on Facebook and Twitter. Every Thursday through Friday, use the #FF hashtag (Follow Friday) to help these bloggers get more exposure on Twitter. Thanks! 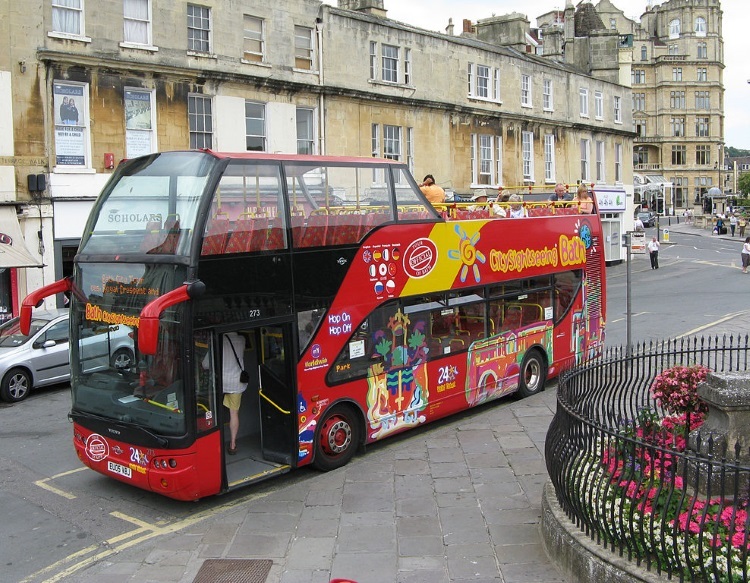 NOTE: Photo of tour bus in Bath, England, is available on Wikimedia Commons. Next Next post: How “Social” Is Your Social Media Usage?